Head to Health (H2H) is a website by the Australian Department of Health that aims to help people find good mental health and wellbeing information, resources, and links to online and phone mental health services. These are hand-picked from Australia’s leading health providers, together in one place. It supports people seeking help – either for themselves or someone they care about. beyondblue is an organisation that provides information, and support for, depression, anxiety, and suicide prevention. Their website contains information, resources, and services for depression. The Black Dog Institute has up to date information and resources on mental illness, online self-testing, current treatments and wellbeing. The institute aims to reduce the incidence of mental illness and the stigma around it, actively reduce suicide rates, and empower everyone to live the most mentally healthy lives possible. headspace is the national youth mental health foundation dedicated to improving the wellbeing of young Australians (12 – 25 years). Their website provides information and resources on mental health, physical health, work and study support, and alcohol and other drug services. 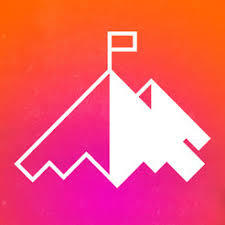 Support for young people and their family and friends can be accessed through this website including finding a local headspace centre, online/phone counselling service eheadspace, and the Digital Work and Study Service. 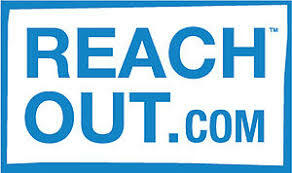 Reachout is Australia’s leading online mental health and wellbeing organisation for young people and their parents. Their website offers practical support, tools and tips to help young people get through anything from everyday issues, tough times, mental health issues, relationships, identity, wellbeing or helping others. Sane Australia is a national charity helping all Australians affected by mental illness. Their website provides straightforward and concise information about mental health and illness including treatments, support, how you can help yourself or someone you care about. Phoenix Australia - Centre for Posttraumatic Mental Health provides free downloadable fact sheets about trauma responses and evidence-based treatments for people affected by trauma, their families and friends. thedesk is developed by The University of Queensland to support Australian tertiary students to achieve mental and physical health and wellbeing. thedesk has free online modules, tools, quizzes, and advice that can help people improve their wellbeing and study more effectively. There are four modules that aim to assist students stay calm, be more productive, and improve their wellbeing and relationships. 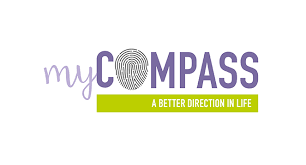 myCompass is a free personalised self-help program developed by the Black Dog Institute for people with mild-to-moderate depression, anxiety, and stress. The program aims to help you recognise unhelpful thoughts, feelings, and behaviours, and develop skills to manage them based predominantly on cognitive behaviour therapy. Mood Gym is a free online program designed to help people learn and practise skills to prevent and manage symptoms of depression and anxiety. It is like an interactive, online self-help book which teaches skills based on cognitive behaviour therapy. This Way Up offers online courses designed to help you identify, understand, and the skills to improve psychological difficulties like stress, insomnia, worry, anxiety, and depression. You can enrol in most of their courses as self-help. Some of their courses are free – Coping with Stress, Intro to Mindfulness, Managing Insomnia. Others are low-cost at $59 for six sessions over three months. 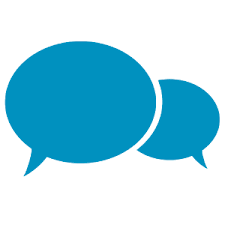 You can complete a free anonymous online questionnaire to receive recommendations for courses that may be useful to you. MindSpot is a free telephone and online service developed by Macquarie University for Australian adults experiencing symptoms of anxiety or depression. They offer free online or phone screening assessments to help you learn about your symptoms. You will then receive recommendations from a MindSpot therapist on free online MindSpot Clinic Treatment Courses to help you recover, or local services that can help. Note. You must be eligible for Medicare-funded services in Australia to access Mindspot. Ecouch is a free self-help interactive program which provides evidence-based information to understand emotional problems better, and learn strategies that may help you improve your life. It draws from cognitive, behavioural, and interpersonal therapies, as well as relaxation and physical activity. There are modules for depression, generalised anxiety and worry, social anxiety, relationship breakdown, and loss and grief. Centre for Clinical Interventions offers a range of modules that provides information on common mental health issues and practical strategies to manage these. They can be completed online, saved to your computer, or printed out to work through by hand. ReachOut has a dedicated section on their website that aims to help people find mobile apps and tools to help you look after your health and wellbeing. Apps are reviewed both by professionals and users. You can take a short quiz to receive recommendations of apps that could be helpful to you. 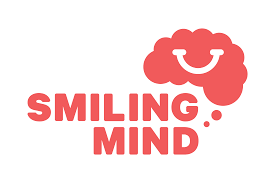 Smiling Mind is a free mindfulness meditation app developed by psychologists and educators to help people balance their lives by looking after their mental health, and manage the pressure, stress, and challenges of daily life. Stop, Breathe & Think is a personalised meditation and mindfulness app that helps you develop skills to manage life’s ups and downs. It invites you to check in with your emotions, and recommends short guided meditations customised to how you feel. Foundational meditations are free, and there are additional activities and features for a paid subscription. MoodMission is a free app designed to empower you to overcome low moods and anxiety by discovering new and better ways of coping. When you tell MoodMission how you’re feeling, it will give you a tailored list of 5 Missions (evidence-based activities and mental health strategies) that can help you feel better. 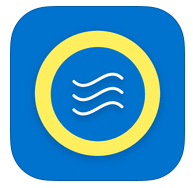 ReachOut Breathe is a free app that helps you reduce the physical symptoms of stress and anxiety by slowing down your heart rate with your iPhone or Apple Watch. ReachOut WorryTime is a free app that gives you a place to store your worries until later, so you don’t get caught up in them and can get on with your day. 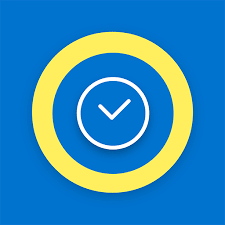 WorryTime will alert you when it’s time to think about them. Instead of listening to negative thoughts or pushing them away, research shows that postponing worries and only giving them attention at a set time helps you manage worry. The Check-In is a free app developed by beyondblue for anyone who wants to check in with a friend whom you are worried or concerned about. It guides you through four steps on how you could plan a conversation, and give you advice on next steps.